This is my great grandfather Frank Duval & his son. Balancing a young child on your hand is something the men in this family seem to enjoy. I remember Grandpa Duval doing this to my younger siblings and cousins. 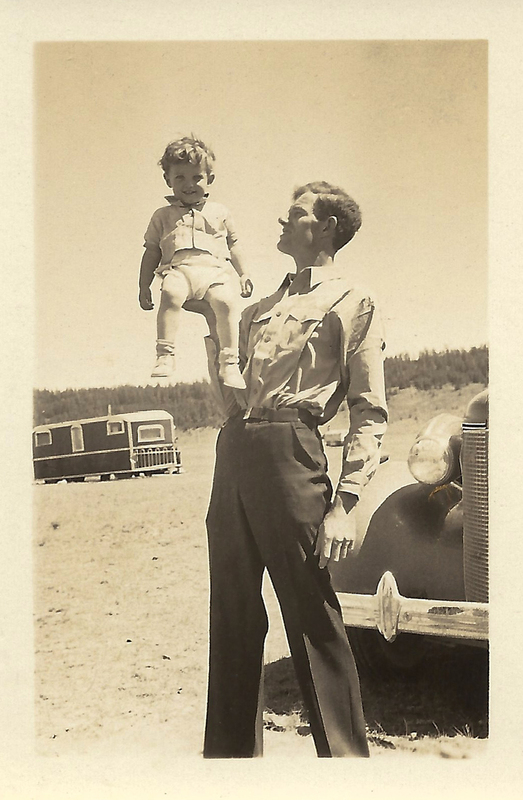 I came across a photo of Grandpa Duval’s younger brother doing this same thing with his own baby – a very young baby. I wonder if their dad did the same thing. Previous postDid I Really Just Find What I Think I Found? An alternative to Swingball maybe.